iPhone cameras are so good that even a trained eye can hardly spot the difference between a picture taken with an iPhone and photo captured with a professional camera. Unfortunately, only rare pictures are perfect the way they were photographed, and third-party apps will help you take your photos a step closer to perfection. Choosing the right camera app, however, is a much more difficult task than it appears because there so many different apps to choose from. 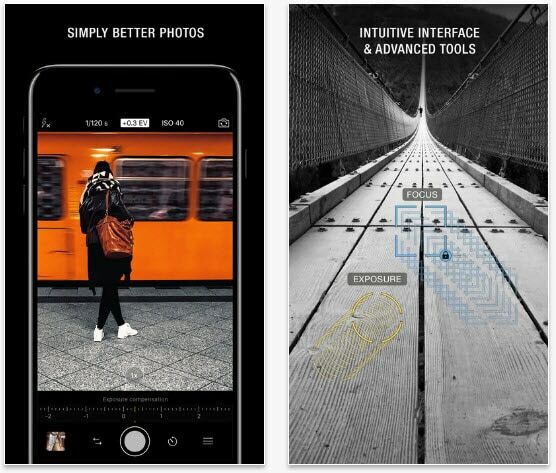 These 10 iPhone camera apps will help you narrow down your options and reach the decision which camera app will allow you to improve the quality of your iPhone photos the most. 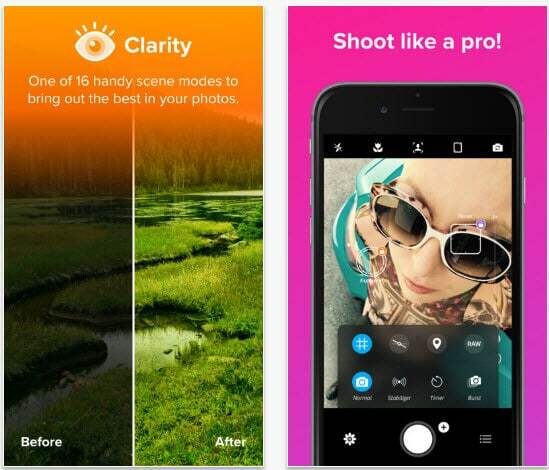 Regardless of the level of your photographic skills, the App Store has something to offer to everyone. These are currently our favorite iPhone photography apps. 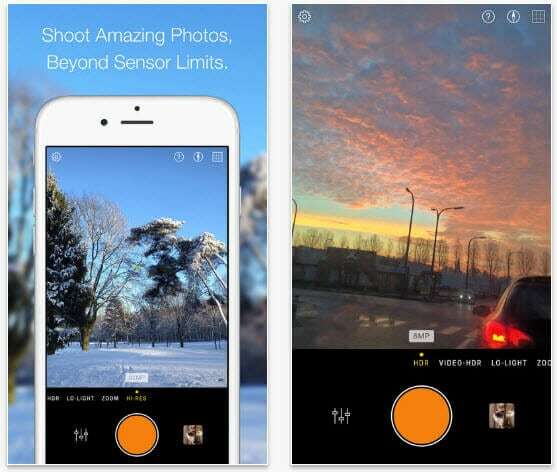 This high-end camera app for iPhones allows you to have the same amount of control over the photographic process, you would have if you used a DSLR camera to take photos. Furthermore, ProCamera app lets you capture 4K and HD videos at frame rates that range from 24fps to 240fps. The Anti-Shake feature stabilizes your shots and allows you to take sharper pictures, while the app's photo editor offers all the tools required for the professional level of photo editing. 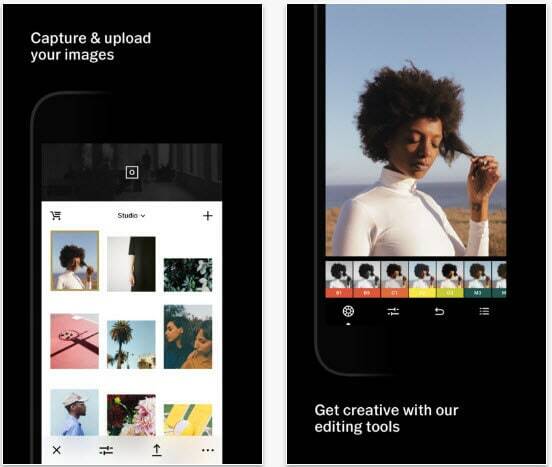 Image creators of all kinds already use the VSCO Cam and by choosing to download this free app you will become a part of a community that fosters creativity and the exchange of ideas. Besides being a great camera app, VSCO cam also provides a considerable amount of photo editing features that will assist you in the exploration of the photographic medium. The list of features is constantly updated so each new iteration of the app offers new tools that broaden the scope of things you can do with this amazing iPhone camera app. Every piece of information that surrounds this app suggests that it is capable of high-end performances. Hydra app performs the best in low light conditions because it is equipped with an HDR mode that takes up to twenty images and merges them into a single shot. Each picture taken with this iPhone camera app has perfectly balanced highlights and shadows. 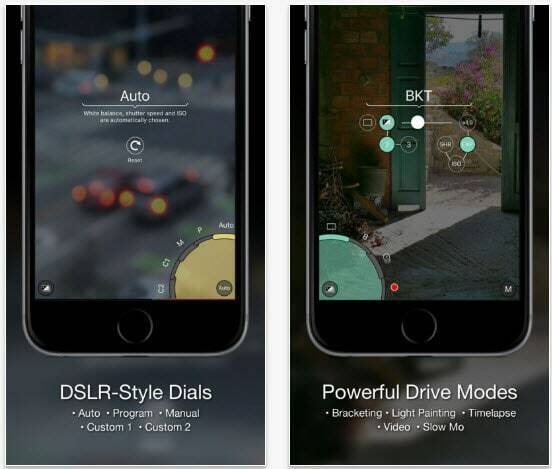 The app'sHi-res mode allows you to produce images that have as much as 32MP. Hydra also features a gallery that provides quick access to all images you've created with this app. Whether you want to shoot videos or take photos, this iPhone camera app will supply you with all the options need to create high-quality images. ProCam 5 lets you shoot 4K or HD videos, capture time-lapse footage or save your photos in RAW format. All photo and video modes allow manual controls, while the app's video and photo editor provide professional tools for image manipulation. 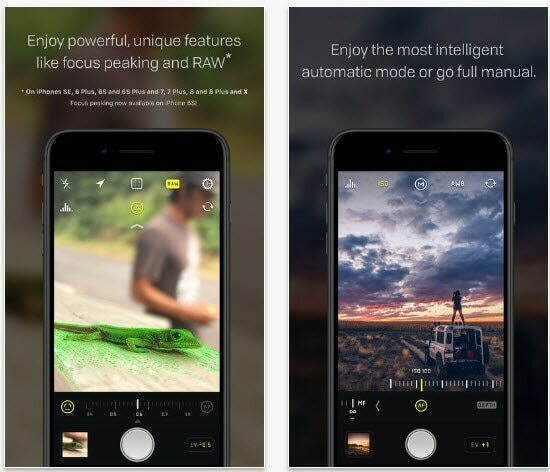 There is nothing you can't do with an app this powerful, which is the reason why you should consider using it if you take iPhone photography seriously. The list of features offered by this app may not be as extensive as it is for some other entries on this list, but this doesn't make TADAA any less powerful. 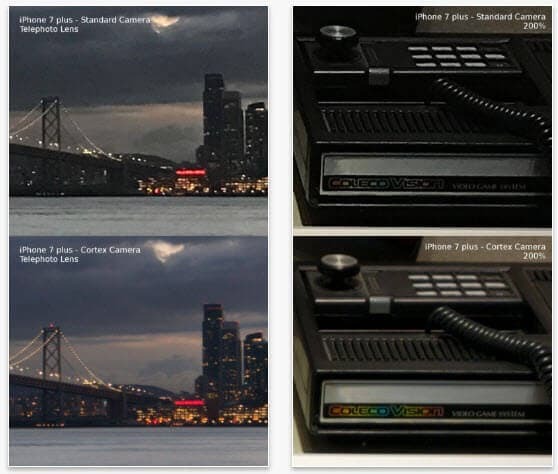 Labeled as an HD Pro camera, this iPhone camera app allows its users to take pictures that look like they were taken with a professional photo camera. 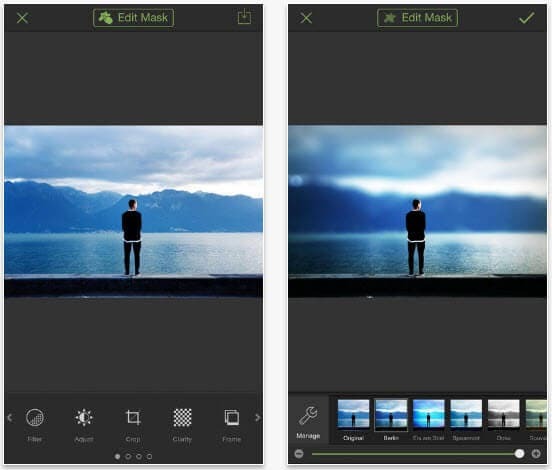 Over a dozen photo editing tools combined with numerous live-view filters guarantee that each photo taken with this camera app will meet the highest professional standards. 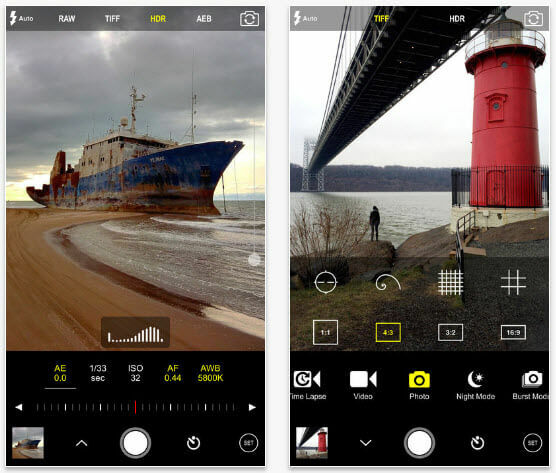 iPhone photographers who would like to explore the artistic side of photography should make this app an irreplaceable part of their setup. The Light Trail mode is designed to let you to create light paintings, while the Low Light mode allows you take pictures even in the darkest hours of the night. 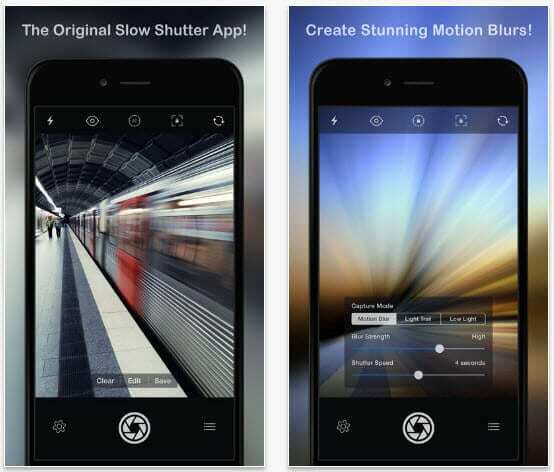 Despite being a powerful camera app that lets you control ISO, Focus or Exposure manually, Slow Shutter Cam doesn't offer any photo editing features, which somewhat limits its potential. Designed to enable aspiring photographers to capture images in near impossible light conditions the Cortex Camera app is probably one of the best apps of its kind. The app lets you combine from 10 to 99 frames to create a clear, noise-free shot that would make a professional photographer feel proud. Cortex Camera captures TIFF and JPEG file formats and its users can have access to shutter priority, ISO or full manual mode. It is worth noting that if you want to take pictures in low light conditions you must make sure that your device is perfectly still. Both photo and video features provided by this iPhone camera app will enable you to capture virtually anything. The list of features the ProShot app offers include Manual, Semi-Manual, and Automatic controls over white balance, exposure or ISO. Auto, Program and Manual modes are also available, while options like the light meter or manual focus ensure that all pictures you take with this app meet the professional standards. The ProShot app lets your capture 4K footage or 4K time-lapses and you can also change any setting you want during the recording session. Photography is about seeing and capturing the world around you, but in order to do so, you must have the right tools. iPhones have powerful cameras, but each of the apps we mentioned in this article will give you, even more, freedom to create the images you want, in the exact way you want. Let us know which camera apps for iPhone you like to use the most in the comments.